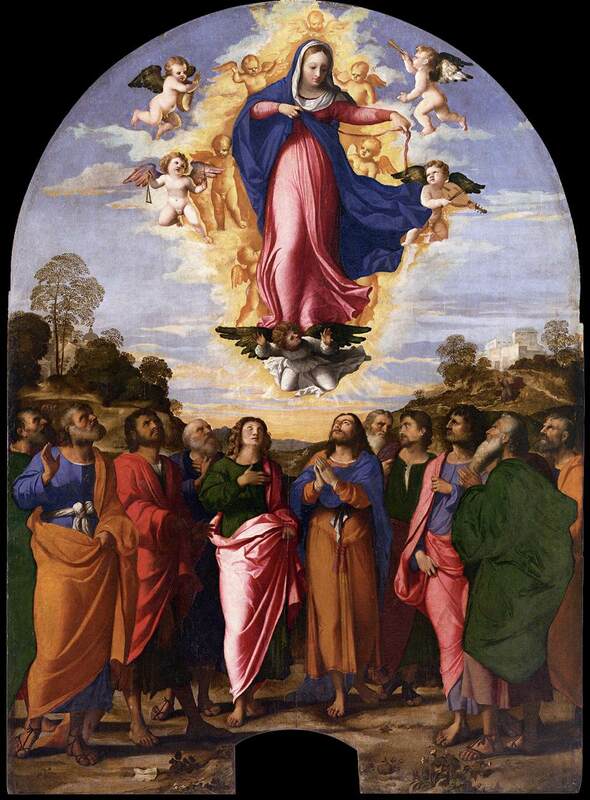 Friday is the Solemnity of the Assumption of the Blessed Virgin Mary and it’s a Holy Day of Obligation: A day when Catholics are asked to show their commitment to the faith by coming to Mass. 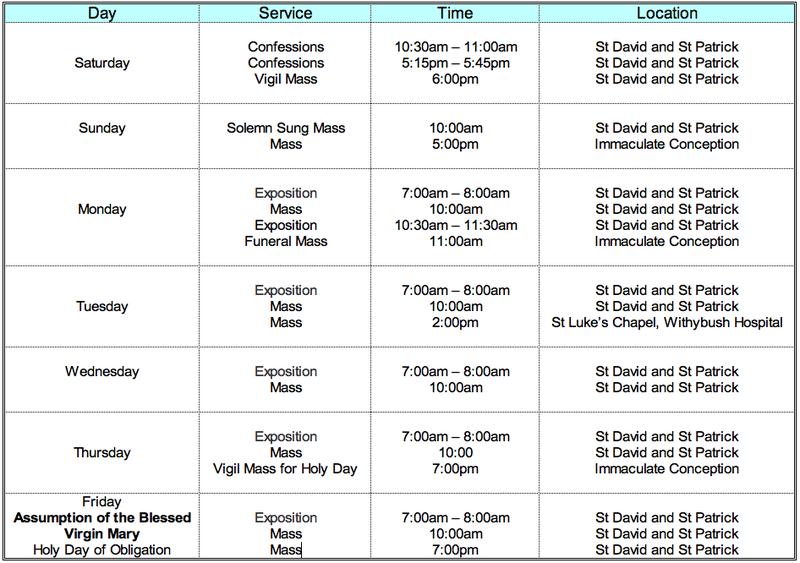 Mass times in the parish can be found here. It’s also a day when feasting is to be encouraged and so the normal practise of abstaining from meat need not be observed. This entry was posted in Liturgy and tagged Fast, Mary, Mass Times on August 13, 2014 by stdavidandstpatrick.